Omen von Chris Congreave ist ein starker Selbstläufer-Mentaleffekt! Optimal für ein bis zwei Zuschauer aufgebaut. Ein Zuschauer nennt frei eine Karte. 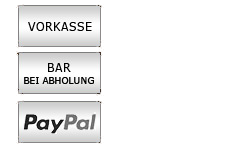 Der andere Zuschauer hebt das Kartenspiel ab und merkt sich die Karte, bei der er abgehoben hat. Sie legen ihre Vorhersage auf den Tisch, damit sie jeder sehen kann. Auf spektakuläre Weise stimmt die Karte des zweiten Zuschauers mit der Vorhersage auf dem Tisch überein!Es geht weiter, denn Sie finden die Karte des ersten Zuschauers auf eine sehr visuelle Art und Weise. Sehen Sie sich unbedingt das Video an! 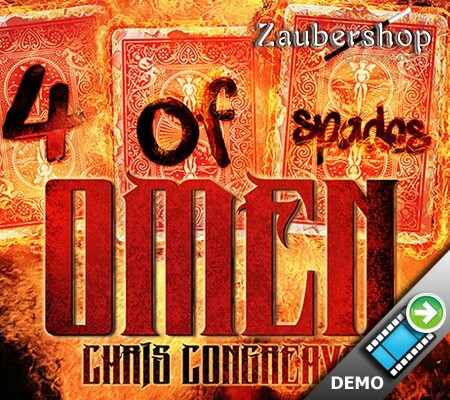 Chris Congreave's Omen is a self-working powerhouse of playing card mentalism with three jaw-dropping moments of magic. Omen is perfect to perform on 1-2 spectators. Two spectators are invited to take part in your demonstration of the strange! Spectator number one names any playing card (let's say they name the 9 of Spades). They are told to keep that card in their mind. A second spectator is asked to freely cut a deck (which has been on view from the start) and remember the card they cut to. Now for reveal number one. You pick up the deck, look at your spectator and without asking any questions, find the selected card. Now for reveal number two. With an empty hand, you reach into your pocket and remove a matching card! So now not only have you found their card, but you have also proved you predicted which card they would freely cut to! Sounds good, right? But I know what you're saying. What about the thought-of-card card? Well, let me just say your final reveal is a show stopper!